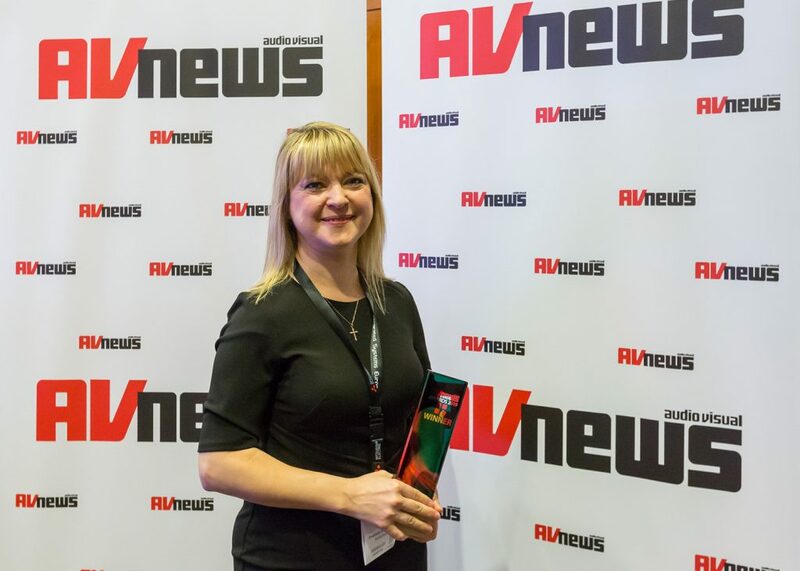 The Awards also recognise excellence in AV technologies and in the channel that delivers them to market. 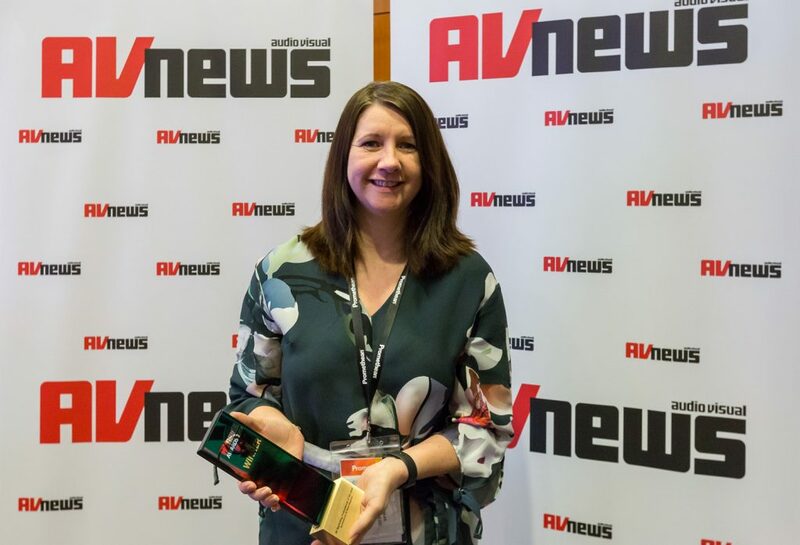 AV News is delighted that the Awards again attracted a record number of nominees and would like to extend its thanks to all those who undertook the task of filling in the forms, and to the Award sponsors who again made the whole thing possible. 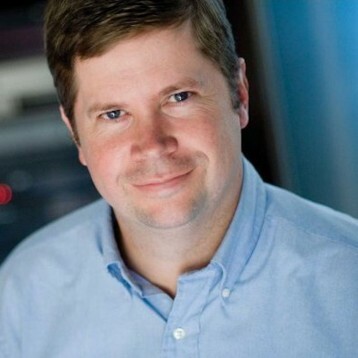 John Underkoffler is founder and CEO of Oblong Industries. Oblong’s proprietary technology builds on fifteen years of foundational work at the MIT Media Lab, where John was responsible for innovations in real-time computer graphics systems, optical and electronic holography, large-scale visualisation techniques. John serves on the National Advisory Council of Cranbrook Academy in Bloomfield Hills, MI, and on the Board of Directors of the E14 Fund in Cambridge, MA and of the Sequoyah School in Pasadena, CA. He is the recipient of the 2015 Cooper Hewitt National Design Award and holds a PhD from the Massachusetts Institute of Technology. Underkoffler began working on that problem, and by the end of his dissertation in 1999, he had several viable technology demos that people grew excited about—including the I/O Bulb and Luminous Room systems. But that was not all: when Steven Spielberg looks to create a technology environment of the future, Underkoffler was pursuing his research on the next UI, and production designer Alex McDowell visited MIT’s Media Lab. The visit from McDowell led to the second phase of Underkoffler’s quest for the ultimate user interface. When renowned movie director Steven Spielberg looks to create a technology environment of the future, he goes to where galactic ideas are hatched. While Underkoffler was pursuing his research on the next UI, legendary production designer Alex McDowell visited MIT’s Media Lab. The visit from McDowell led to the second phase of Underkoffler’s quest for the ultimate user interface. Underkoffler designed the “next-next-gen” UI in Minority Report. He has subsequently been science advisor to films including, ‘The Hulk’, ‘Aeon Flux’, and ‘Iron Man’. Success can be measured in many ways – financial profit, repeat business, expanding client portfolio, perhaps even managing to succeed where others have failed. Any one of these would be acceptable for many businesses but for Ann Pickard and her VisavviCARE team, the mission is to achieve all of them. With over 1000 active service contracts, many with clients that have been supported for over ten years, plus a net profit of £1.5 million and a footprint that covers Europe for some of the biggest brands on the planet, the team deliver consistent quality combined with exceptional efficiency and customer support. Ann is a true career professional who thrives on the challenge of delivering exceptional customer support. This passion has resulted in an extremely loyal client base which continues to expand year-on-year. She has the respect of her peers and is often quoted as the perfect example of CX focussed business leader. Through her determination, creativity and skill, she has created the most highly-trained, trusted and dedicated team in the industry. 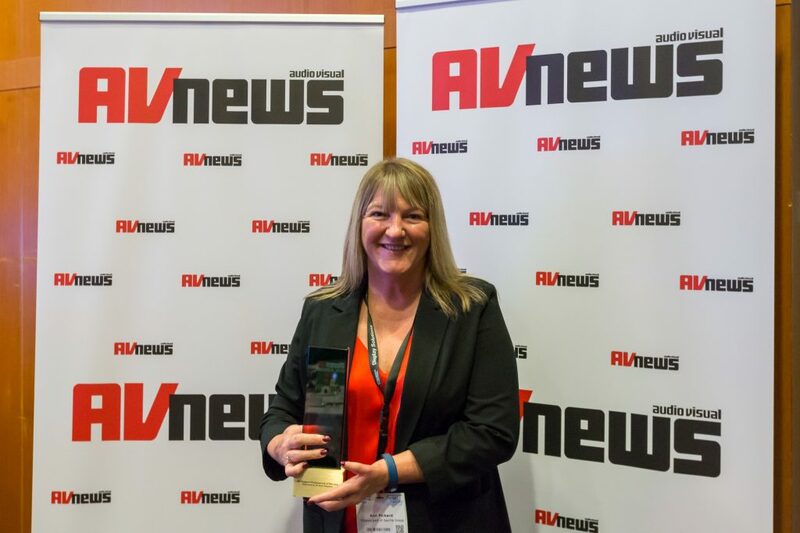 Her professionalism and success is charted by the radical growth of the AV service function, rising from a cost centre of £60,000 to delivering over £1.5 million net profit to the Saville Group business. Ann is an innovator. When she sees a problem, she immediately sets out to find the solution. She personally drove the development of the bespoke mobile app which completely revolutionised the way of working for the dispersed service engineering teams, increasing productivity on a huge scale and similarly improving client relations through efficiency and inclusion. Her authentic personality and unrivalled industry experience allow her to build deep and trusted relationships with a diverse range of extremely loyal clients, who appreciate her unswerving work ethic and high standards. This unique attribute means clients continue to renew contracts year on year as well as trusting the support of their extensive international AV estates to the Visavvi team as is the case with clients such as eBay and PayPal. Ann is the ultimate Team player. She invests substantial time and effort to ensure her team are fully trained and are all aligned and focussed on delivering the best experience and support for clients possible. Gillian Rhodes has headed up the international marketing team at Promethean for 12 years and grown a strong team. Gillian has established local marketing teams in strategic countries which have been instrumental to the company’s global success. She has taken the global marketing strategy and worked closely with teams on a local basis around the world to implement it. Gillian has pioneered a series of marketing toolkits which have been rolled out globally to support regions with the delivery of different marketing campaigns and initiatives. Piloted and spearheaded by Gillian, Promethean has grown a Sustainable Education Partnership with a rural school in Fiji. Promethean has donated a series of ActivPanels to the school and is working closely with the school and community to support their development. This programme is due to be rolled out globally. Gillian has also played a crucial role in the development of the Promethean Partner Accreditation Programme which encourages resellers to upskill on Promethean expertise and follow brand guidelines. The programme has been a phenomenal success and this year the team has launched ‘Atlas’, the new partner portal to support the Accreditation Programme and help strengthen communications with partners. Phase 1 was an overwhelming success and Promethean is now investing further in the portal. Saudi Arabia – implementation of over 1,000 ActivPanels. Vietnam – over 2120 units shipped of Promethean solutions in 2017, and 3554 to be shipped by the end of 2018. Malta – Promethean emerged as the preferred supplier for over 700 ActivPanels owing to the robustness of the product and the level of warranty available through its ActivCare programme. Egypt – over 7,500 ActivPanels in a contract worth over $6,000,000 has been secured and will ship towards the end of 2018. Moscow – over 7,600 bespoke IRBIS panels delivered to the city by the end of 2017, with a further 14,000 IRBIS panels confirmed in January 2018. Holger Graeff joined Vivitek in August 2010 as General Manager for the EMEA region. 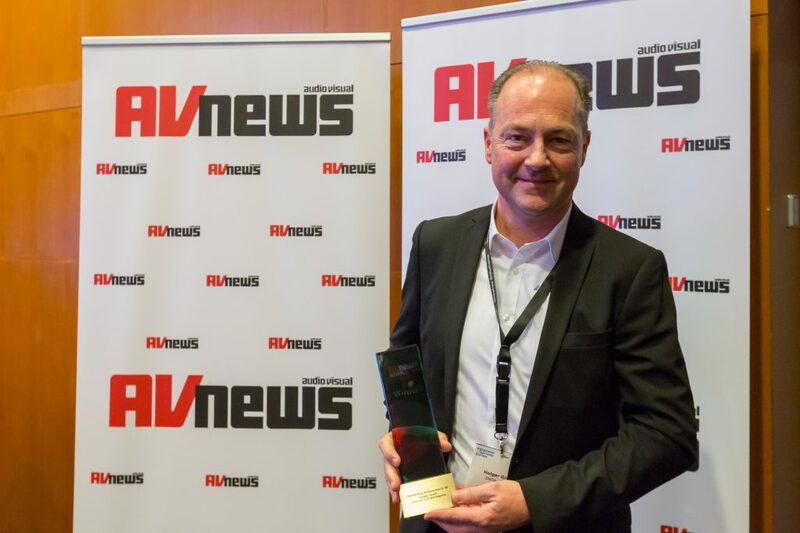 With nearly 20 years of channel expertise in the Audio Visual and Consumer Electronics markets in EMEA, Holger Graeff has contributed significantly to the transformation of Vivitek from a business start-up into a solid brand within Delta’s EMEA operations. 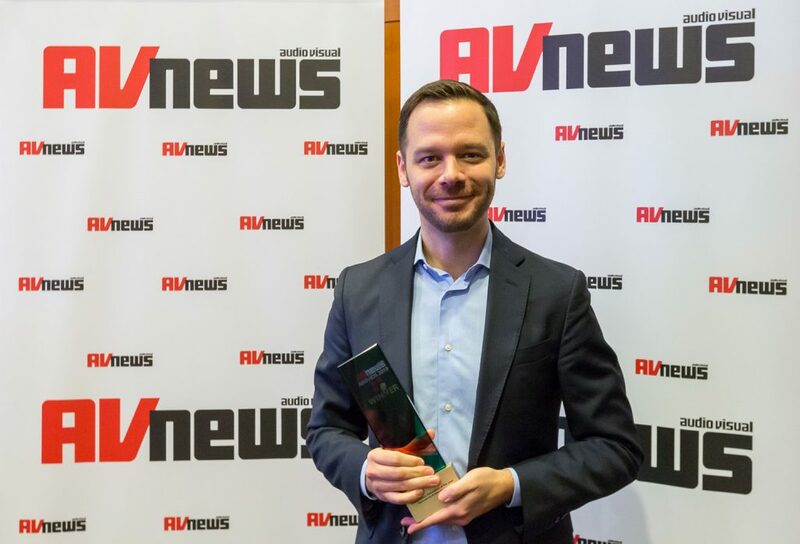 With Vivitek celebrating ten years in EMEA in 2019, to date, Holger has been providing leadership, structure and a friendly face for nearly all ten of those years. Responsible for overall business development strategy, he also oversees sales, marketing and service, ensuring long-term partnerships and brand development. Since joining he has successfully continued to ensure success for Vivitek’s business in EMEA for almost a decade. He created, implemented, and continued to maintain the success of the model of structure and strategy that has proven to work, and one that continues to reap rewards for the company. He spearheaded the implementation of necessary tools for success, such as marketing, organisation and PSI services that ensure growth and structure. Holger played a major role in helping the same benefits come to partners like Delta Display Solutions entering EMEA market, by implementing similar structure and strategy with a team fully prepared to support the company. He developed projects into products that his team could sell – making big concepts achievable for customers. An example being the Fine Pitch LED display, which Holger helped become a product that was available in full HD/4K to its customers and profitable for the company. In 2018, Promethean’s interactive front of class display was selected to fulfil the Moscow Online Schools project. Promethean was chosen to produce a bespoke IRBIS panel for schools across the city of Moscow. The IRBIS panel is an all-in-one solution, incorporating the 86-inch interactive flat panel, OPS and a comprehensive education software. The Promethean IRBIS panel offers a tablet-like interface with a customisable home screen making it easier for teachers to adapt to the new technology. The solution has also been created to be convenient for administrators and managers. Integrated with the infrastructure of the Moscow Online School providing on-hand management and online monitoring. Over 7,600 bespoke IRBIS panels were delivered to the city by the end of 2017 and a further 14,000 IRBIS panels confirmed in January 2018. The Energus Cyber Lab, the first of its kind in the North West, seeks to tackle the skills shortage in Cyber Security. Complete with an immersive environment capable of simulating the experience of an attack; the lab is used to deliver apprenticeship frameworks, STEM programmes and commercial training for the NDA Group, Nuclear Supply chain and local businesses. The Lab designed and installed by Pure AV has helped to secure Energus funding to train 350+ CyberFirst students between 2018 and 2024 and open their services up to a whole new customer base. Multiple displays facilitate collaborative working: The Lab itself is a single room capable of housing up to 14 students and a tutor. The technology in the room includes two Philips 84” touch displays at the front of the room, a Philips 55” display at the side of the room, two Epson ultra-short throw Laser projectors, projecting onto interactive Smart Glass on the other side of the room and a 65” Iiyama touch table in the middle of the room. There are desktop-based workstations for each student. Any workstation, laptop or smart device can be shown on any display and controlled from any touch display. Wireless connectivity is managed using Kramer Via collaboration equipment and switching and distribution is handled by an Extron DTP Crosspoint device with control delivered via a Crestron control system. In addition, the tutor has full control of the system including the dynamic lighting via a touch screen programmed with a simple user interface. London Wall Place is a new 12 storey development near Moorgate and Bank in the City of London making it a prime location for this new headquarters. Following a successful tender process, proAV was commissioned to install audio visual systems as part of an overall integrated ‘smart-building’ solution to significantly update and improve the AV and IT infrastructure to provide cutting-edge services for their staff and clients. 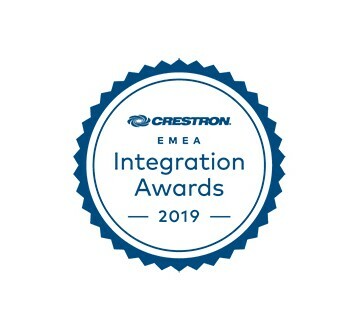 proAV delivered a future-proofed, integrated audio-visual solution that promotes exceptional meeting and presentation facilities with easy to use control systems, all supported by Crestron’s enterprise remote management platform, Crestron Fusion. The key innovations and benefits of this project were driven by the smart technology solutions and how they would be integrated from an AV/IT perspective. Key to a successful install was having all parties fully engaged with each other in order to make these systems talk to one another. The focus for this at a performance level is visitor management. Using the room booking platform our client can achieve the following events: For ad-hoc meetings, the system can also detect who is in the room and display these on the room booking panels, proAV 3D renders; and BIM modelling of all AV spaces were produced as part of the project planning. The London offices for The Institute of Chartered Accountants in England and Wales needed a major upgrade of its AV equipment throughout its buildings including its 20 x 20m Great Hall, 120-seat auditorium and 21 meeting rooms. Although a grade II listed building, ICAEW wanted to embrace the technical developments of the 21st Century. Clear VC, specialist provider of audio-visual communication solutions, was appointed to manage the AV installation. In just eight weeks, while floors and furniture were replaced, the team, working closely with English heritage, installed the latest AV equipment, lighting and conferencing facilities throughout the institute’s city headquarters. Tall windows that stand 4m high and span the entire side of the Great Hall, were obscured by an old stage backdrop, which blocked the natural light coming into the room. English Heritage was keen that these, complete with their original wooden shutters, were uncovered as part of the refurbishment but this created the challenge of an entire wall of windows to project towards and meant it needed significantly brighter projectors. Clear VC chose three Optoma ZU650 powerful laser projectors to project across a new 12m-wide fast-rolling electric extra-large Gerriets Megascreen in the Great Hall. A further ZU650 was installed in the Auditorium Council Chamber. Clear VC installed stage and architectural lighting with down lights to give ICAEW and its private hire customers the ability to wall wash colours across the hall using amBX lighting server and Studio Due light fittings. Companies can match their logo perfectly within the environment by taking a single pixel from the logo projected on the ZH400UST laser projectors each side of the stage and use this as the basis to colour match the room. The Great Hall, Auditorium and ICAEW’s 21 meeting rooms now have exactly the same user experience. The £75m scientific institute is Europe’s largest gastrointestinal and endoscopic research site and fully functional NHS facility. The QIB is the product of a unique pioneering vision where researchers, students, scientists and clinicians collaborate under one roof, in real-time, making the AV infrastructure a key success factor in facilitating effective collaboration between many diverse groups. Designed and integrated by Snelling Business Systems using the latest display technologies from NEC, multiple adaptable meeting spaces provide bi-directional interaction with live streaming of clinical endoscopic procedures. Delivering zero-latency uncompressed 4K video to support medical innovation, this ground-breaking deployment demands mission critical performance. The AV infrastructure was designed and deployed to support this unique facility, the first of its kind, where collaboration is the critical success factor. Focusing on the study of food and the human microbiome (the bacteria in our guts), the building houses 400 research students, scientists and clinicians. This is a unique environment – a scientific research and education institute and an NHS facility working in such close proximity, collaborating to improve the health of patients around the world. This deployment is the first endoscopic installation to provide uncompressed 4K video (SDVoE) over a 10GB Ethernet network using fibre interconnectivity. Live video can be broadcast to any point inside the building or indeed beyond its walls. The Quadram Institute is amongst the first healthcare facilities in Europe to adopt an end-to-end AVoIP infrastructure and, combined with best-in-class NEC HD display technology, the result is outstanding. Professional services and investment management company JLL launched the NXT Office, an interactive and futuristic presentation space at its London headquarters designed to reinvent the customer experience. The NXT Office is powered by ground-breaking technologies including Mezzanine from Oblong Industries, an immersive visual collaboration system, to deliver all the essential property information that clients require in one easy to navigate, interactive and highly visual workspace. The NXT Office has had a positive impact on productivity, considerably reducing the time that senior decision-makers spend searching for property and visiting locations. Decisions that would previously take numerous weeks and multiple meetings, now often take just one hour. The NXT Office includes a Mezzanine 650 Series and a Cork Board Server connected to a PC running the JLL NXT Application. Mezzanine is used alongside Matterport, a technology that creates and displays 3D building walk-throughs. JLL has also developed their own proprietary NXT application to capitalize on Mezzanine’s large, interactive workspace—offering a superior customer experience unmatched in the property industry. This solution, coupled with next-gen control via the Oblong gestural wand, creates a very valuable and WOW experience for the client. Mezzanine coupled with JLL’s large database allows the company to present all real estate options in the capital to their customers, often within an hour, saving clients a tremendous amount of time. The NXT Office experience includes a virtual tour of the properties and all relevant information for the client to enable him/her to make a faster decision. The launch of the NXT Office in London marks a key phase in the roll-out of this dynamic concept which is also successfully in operation at JLL’s Paris headquarters, also powered by Mezzanine. The Royal Opera House ‘Open Up’ project aims to attract new visitors, enabling opera and ballet to be experienced by everyone. By physically ‘opening up’ the venue through architectural developments, incorporating new technologies and offering a broader spectrum of events and attractions, the ROH is widening its appeal. Partnering with NEC Display Solutions, the ROH brings to life its modern and inclusive approach through a range of visual technologies including large format displays and projection solutions. The striking showpiece is a 28.5sqm 90-degree curved LED screen shining out onto the world-famous Covent Garden Piazza. Perfectly and uniquely positioned to offer a broad range of visual technologies including LED, LCD and Projection; NEC was chosen to be the Display Technology Partner for the ROH to specify and install the perfect fit solution across a variety of applications within the venue. The NEC global strap line ‘Orchestrating a Brighter Future’ neatly resonates with the goals and objectives of the ROH and the Open Up project. Designed in the 1850s, transforming the historic building into a venue to appeal to today’s audiences was not without its challenges. Harnessing the latest technology whilst preserving the architectural heritage is a major achievement in this landmark deployment. Now a venue where you can experience the arts without even having to buy a ticket, visitors are invited to relax in the new café, restaurant and bar areas where visual stimulation serves to enhance the experience. An airworthy showroom in a Boeing 777F for the worldwide presentation of the was the venue for the launch of the new BMW Vision iNEXT prototype – an event over five days (98 hours) and four destinations on three continents: BMW Vision iNEXT World Flight presented the new BMW Vision iNEXT to more than 300 international press representatives in Munich, New York, San Francisco and Beijing. The showroom with its outstanding AV technology and the prototype of the BMW Vision iNEXT was installed directly in the belly of the Boeing 777F. Ten hours after landing at each location, the press show began, and just four hours after the end of the show, the Boeing took off again to reach the next station. Installed in the Boeing were, soft edge projections, approx. A 40 sqm LED floor, various light installations (such as light ceiling and light arcs) provide over 78,000 pixels coupled with the highest quality sound and lighting technology made the prototype tangible. Kinetic installations included a turntable and two drop gates, centrally controlled by the show director. The physical and digital came together in a truly impressive show that gradually released the individual elements of the car and segments of the showroom. All the more impressive due to the space constraints of building in flying airplane! Samsung installed the first continuous, 360-degree video screen with HD-quality, 6 mm LED video display in NBA history. The Atlanta-based State Farm arena is now equipped with new videoboards, featuring 12,000 square feet of Samsung SMART LED Signage. This renovation was the second-largest in NBA history, and on October 20, 2018 the arena welcomed approximately 10,000 people to view the screen. Fans will be immersed in stunning video displays no matter where they are seated in the bowl. The high-definition video will enhance the in-game experience for Hawks fans, and make every fan feel like they are sitting in the first row. The centre-hung videoboard includes a massive 4,477 square feet of high-definition video display, offering true-to-life colours and dynamic details with 6 mm pixel pitch. With Samsung’s LED display technology, 4 displays are seamlessly connected with curved edge displays making it the first 360-degree LED screen in NBA history. The centre-hung structure features two additional displays mounted in its interior. Measuring 20 feet wide by 9 feet high, these displays offer an additional 360 square feet of active video viewing area. With more than 30.42 million individual LED pixels, these displays deliver crisp, clear content throughout the arena. Incorporating these displays ensures that this iconic venue is well positioned to keep up with the rapidly evolving sports entertainment industry. More than 20 LED displays have been installed throughout the arena, for a total of 12,047 square feet of LED video. Feature-rich and designed for a secure networked environment, Pro Series was the first touchscreen developed specifically for enterprise, that’s been shaped by the customers it serves. An all-in-one interactive touchscreen for meeting rooms, auditoriums, receptions or breakout spaces, it’s a highly versatile display. The central hub within an evolving workspace; it’s an essential workplace tool that integrates and connects with other devices and network functions across an organisation. Connecting multiple users on a common platform, Pro Series supports Unified Communications and BYOD, WebEx, Skype for Business, Zoom, STAGE and other video conferencing solutions that enables teams to collaborate better. Seamless integration into any environment is a key consideration for new enterprise technology solutions. The Clevertouch open platform approach allows for seamless integration with existing technology and software without compromising the security needs of a user organisation. At Clevertouch, we don’t think our enterprise users should work around their interactive collaboration display – it should operate the way they need it to. Every Pro Series system can be designed to fit our customers’ unique networking and security requirements. To that end, Pro Series can be run in either tablet or PC mode with locked down settings that can be controlled by IT and system managers using the Clevertouch Remote Management software. Completely free to use, the Remote Management tool can be accessed be anywhere in the world to run diagnostics and shutdown displays if required. It has built in dual Wi-Fi, integrated networking and IP control, giving users the ability to choose the appropriate security set-up for their organisation. In June 2018, Avocor and Microsoft announced a new category of teamwork devices: Windows collaboration displays. These large, interactive displays will let people experience Microsoft 365 collaboration tools: Office, Teams and Whiteboard at room scale, and include built-in sensors that can connect to Azure IoT spatial intelligence capabilities. This incredible technology will allow facility managers to utilise environmental data to make real-time decisions, enabling greater control and ultimately efficiency in the meeting space. Working closely in partnership with Microsoft, Avocor are the first-to-market with innovative, intuitive displays that deliver a simple, fast and seamless solution that finally enables workplace collaboration to reach its peak potential. Windows collaboration displays by Avocor address common workplace issues such as the frustrating and often time-consuming problem of connecting devices and people in meetings with a simple, seamless and fast solution. Avocor and Microsoft have created a single-cable solution that immediately and intelligently connects a Windows 10 PC to the display. It allows for immediate control of the camera and mic for video and audio, as well as providing hard-wire Ethernet connection and power to the laptop. No more struggling with cycling through the source, searching through a sea of connection cables or ports, bringing power cables to meetings or struggling with Wi-Fi and passwords. What used to take 10 minutes and cause undue stress and distraction is now a seamless single-cable connection that takes seconds. Samsung OMN and OMN-D series, its brand new semi-outdoor displays available in 46 and 55-inch, are designed with a storefront window display in mind and capture viewers’ minds with comprehensive innovation. Brilliant, vibrant images with superior picture quality, high brightness, and contrast ratio are packed in a slim and neat design. OMN-D series, dual-sided semi-outdoor display, especially enlivens the store, both in window fronts and indoors, bringing more freedom in space and boosting efficiency. Along with enhanced energy efficiency and IP5x validation, it provides 3 step protection system with its own embedded solution, MagicINFO 6 solution powered by Tizen 4.0. Samsung OMN and OMN-D series presents modern and innovative design in both 46 and 55-inch sizes. OMN series has remarkably slim design with 54.5 mm depth, nearly half of conventional products. Its compact size makes the display a natural extension of the store, as opposed to an addition that ties up valuable space. The OMN-D series features a double-sided screen, with each side adjusted for the environments in which it is utilized. It can be easily mounted on a stand or hung from a ceiling, giving retailers more options for positioning. It maximizes operation efficiency by offering retailers more room to market themselves to potential customers on both sides with one display. The OMN series will deliver vivid and crisp contents to viewers with its excellent visibility ― even in direct sunlight ― through high brightness of 4,000 nit and high contrast ratio of 5,000:1. OMN-D series presents 3,000 nit brightness on the window-facing side to help maintain picture integrity regardless of sunlight while the in-store side feature 1,000 nit, delivering information clearly. Available in an 82-inch model, the new QLED Signage combines the market’s highest resolution with Artificial Intelligence (AI) technology that optimises content for 8K presentation—producing truly lifelike images and enabling users to enjoy much more immersive viewing experiences with 4,000 nit peak brightness. An 8K QLED Signage features a resolution of 7,680 x 4,320 pixels, which means roughly 8,000 pixels are packed into each horizontal line of the screen. At this level of pixel density, the individual pixels composing an image become imperceptible to the human eye—even when viewed up close. 8K QLED Signage features Samsung’s proprietary Quantum Processor 8K. For contents providers, Samsung’s proprietary 8K AI Upscaling technology based on machine learning transforms picture quality to a level compatible with 8K regardless of the original source quality or format. HDR (High Dynamic Range) 10+ technology optimizes the brightness levels with the peak brightness of 4,000 nit and produces pristine colours and images to deliver pictures as intended by creators. By applying Local Dimming and Quantum Light Control, BLU (Back Light Unit) with highly concentrated light, 8K QLED Signage has enhanced black colour presentation and widened viewing angle. 8K QLED Signage’s slim design, with the depth of less than 40 mm, provides hassle-free installation by adopting slim wide-angle lens. Peerless-AV’s Xtreme High Bright Outdoor Display offers the highest environmental rating in its class and the widest operating temperature range in the industry. The capabilities of this fully-sealed, weatherproof commercial display are currently unmatched, making it one of the most hotly anticipated Digital Signage technologies of the past 12 months. Since June 2018, more than 400 units have already sold around the world to a wide variety of customers, including major international airports, universities, race tracks, advertising companies and ski resorts. A fundamental feature of the new Xtreme is optical bonding, a process used in the manufacturing of outdoor displays that accomplishes multiple feats. Firstly, as mentioned above, optical bonding significantly increases image contrast by eliminating the air gap between the panel and the safety glass. Secondly, it reduces glare and reflection through the adhesive gel inserted between the protective glass and the screen to dramatically improve the readability of the display in direct sunlight. Thirdly, this adhesive layer prevents entry of moisture and formation of condensation. Sedao Digital Signage was established in 2004. In 2017 the company was acquired by Sahara Presentations Group who retained the services of founder and developer David Oades as Group Head of Product Development and Helen Kenniff as Product Marketing Manager. SedaoLive CLOUD is the only digital signage solution on the market to offer a complete digital communications solution across enterprise, education, retail and hospitality sector industries. With the ability to integrate with any large format display screen, Sedao dedicated RoomXchange room booking, and all Clevertouch interactive flat panel displays, SedaoLive CLOUD is unique in the marketplace. SedaoLive CLOUD offers a range of features and capabilities like no other on the market. It is the only solution to integrate with LFD’s, room booking and collaborative panels making it a complete offering for multiple industry sectors. This simple to use platform, easy to follow training videos and professional templates to ‘rebrand’ opens up digital signage to everyday users. Triggers – virtual buttons, physical buttons and QR codes – enable users the ability to hand control of screens to the audience for maximising engagement and satisfying viewer interaction demands. Towards the end of last year, Vestel revealed new display, including a stunning new PCAP model. In a number of solutions jointly developed with Intel, using the latter’s Unite technology. This allows the user to control any display from any other connected display. Intel demonstrated a variety of possible use cases, including options for pairing its NUC and OPS platforms. Use of Intel’s vPro certified technologies will provide reassurance for uses tasked with mission-critical and compute-intensive applications used in corporate and organisational applications. Vestel has announced cloud collaboration and digital signage solutions for the mainstream market. Designed with an Intel Core vPro processor-based hub, Vestel 55/65/75/84” interactive flat panel displays offer a wireless connection to Intel Unite, a content sharing software that ensures flexible and fuss-free screen sharing. Requiring no additional devices, licensing or training to use, this solution lowers the total cost of ownership, enabling businesses of every size to ensure better communication, transparency and co-operation between different departments, offices and third-party partners. Supporting wireless screen sharing across a variety of different devices and operating systems, this solution overcomes the challenge of lack of interoperability, providing a content-sharing platform that works in mixed technology environments. Delivering a flexible collaboration platform, right out of the box, it saves business owners the trouble and expense of having to standardise the various devices and operating systems that are so often used, even within the same company. Samsung’s interactive digital flip chart, the Flip, enables interactive meetings and creates a more productive working session with its state-of-the-art design and intuitive technology. Its UHD display empowers simultaneous on-screen notation and content sharing, facilitating more engaged and involved discussions. The display’s wheel-based stand transforms any office location into a huddle space, with portrait and landscape orientations available to suit all needs. In lieu of taking photos or writing notes, participants can share content directly from the display via email, printing or USB. The Flip’s portable, wheel-based stand empowers anyone to start a meeting anywhere, anytime. This helps to elevate any personal office or available room into a fully-functional huddle space. Through the Flip’s broad connectivity, Flip Capture lets you and your team share and make notations within a variety of content files, all maintained at optimal visual quality. Conversations can easily be saved within the display’s central storage and then shared with colleagues through mobile and digital channels. Additionally, Flip Protection helps to ensure that your game-changing ideas remain confidential through a reinforced data security system. Each in-office team can set a unique numeric password to lock the display and remove critical content from view. Featuring a versatile pivot mode and ergonomic stand, each Flip interactive display can configure to a portrait or landscape orientation to match collaborative needs. Additionally, the Flip can tilt 4.5° when in portrait mode for a more natural writing angle. Flip Navigation provides an intuitive, user-friendly menu that simplifies navigation and reduces the time required to access controls or view content in its entirety. Facilitators can also preview individual content pages and make instant changes directly on the screen. In line with Vivitek’s strategy to offer a visual solution for meeting rooms or huddle spaces of all sizes and in all locations, they offer the NovoTouch Flat Panel Displays that allow users to engage employees in team collaboration via large displays and interactive technology. With 20-point touch capabilities, a suite of office productivity Apps, and Vivitek’s NovoConnect collaboration software, users can actively engage with presentation materials to bring meetings, brainstorming or training sessions alive. Its built-in NovoConnect collaboration software allows for up to 64 users to connect wirelessly and display up to 4 screens simultaneously on the large format display. With on-screen annotation, mark up and wireless file sharing, NovoTouch offers a complete collaborative solution to engage all participants in the meeting and improve meeting efficiency and productivity at the same time. With a range comprising of 65”, 75”, 86”, and 98” panels, with each offering a rich feature set. The new iFPD screens are available in Ultra HD 4K, delivering outstanding detail and stunning visuals. It includes a suite of office productivity Apps, such as a whiteboard App, an Office document and PDF viewer, a screen recorder App, and its on-screen mark-up capability, making it ideal for office environment. Its built-in digital signage application (NovoDS) provides a new dimension for users to configure and use this product beyond conducting meetings. MeetUp is one of the most innovative offerings for the huddle room on the market. 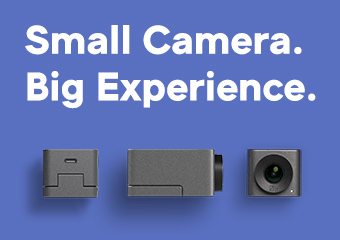 MeetUp is the first ConferenceCam that effectively combines a 120-degree FOV (field of view) 4k camera with integrated audio and a 13-megapixel sensor. In addition, the product boasts three horizontally aimed beamforming mics and a custom tuned speaker. The product also offers excellent audio capabilities, with an additional expansion mic, which extends the audio range from 8ft – 12ft. Combining these has resulted in a sleek all-in-one device that packs a punch in the huddle room. Leddura 2Meet is developed to make collaboration more accessible and more interactive in any meeting room. Everything you need for an effective meeting comes together in 1 system: wireless content sharing, whiteboarding, video conferencing with Skype for Business, and direct insight into the availability of meeting rooms. Most companies use Skype for Business for video conferencing. The Leddura 2Meet touchscreen is specifically designed to integrate seamlessly with Skype for Business. This makes using our touchscreens easy and trustworthy. The touch functionality allows simple and interactive editing of documents and content during meetings. Whether you want to call with Skype for Business users, H323 devices, or phone numbers: video conferencing with colleagues around the world has never been so easy. Simply start the whiteboarding feature with one press of the button. Everyone in the meeting can simultaneously write, annotate, share files and add new pages. Everything works perfectly with Office 365, and furthermore, you can easily call up a web browser or install your company apps. Schedule a meeting in Outlook, then go to the meeting room and start the meeting with 1 press of the button. Is there a meeting room free? You can also easily make a reservation from the screen. Did you forget to cancel a meeting? No problem, if the room is not being used, Leddura 2Meet will release it automatically after 15 minutes. 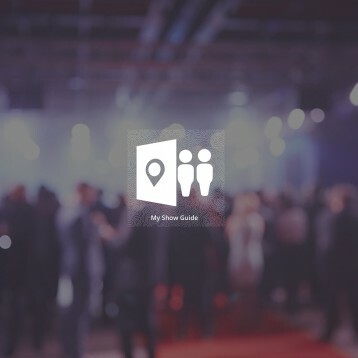 The 2Meet also works well with existing Microsoft Exchange-based room-booking systems. Mersive’s Solstice wireless collaboration solution boosts productivity by putting content at the center of the meeting experience. Building on the success of its core wireless collaboration solution, Mersive is leveraging Solstice as a platform to continue expanding its offerings to improve the meeting experience. With the recent addition of Kepler, our meeting room monitoring and analytics solution; digital signage capabilities; native screen mirroring support for all major operating systems; and Spoken Screen Key that assists the visually impaired by speaking the screen key when a user connects; Mersive is leading the way in revolutionizing wireless collaboration in the meeting space. Mersive Solstice is leading the way to revolutionizing how wireless collaboration solutions interact with and support meeting requirements. The inclusion of Miracast support for native streaming makes Solstice a leader in content sharing capabilities by allowing anyone to share content regardless of operating system or device type. Solstice’s meeting analytics tool, Kepler, goes above and beyond other monitoring tools by gathering data like meeting length, room usage and meeting peak times to help technology and facilities managers make data-driven planning and budgeting decisions. Solstice’s digital signage capabilities turns any display screen into both a collaboration tool as well as a digital sign with the ability to playback HTML content from a designated URL between meetings. This makes digital signage an affordable option in every meeting space in a building including the smallest huddle rooms. Founded in California in 1987 and celebrating its 31st anniversary, ViewSonic is a leading global provider of visual solution products. ViewSonic aims to keep the world connected with a portfolio of products that enhance the way we compute, collaborate, communicate and connect. The ViewBoard IFP7560 is a 75-inch 4K interactive touch panel designed to be an intuitive collaborative platform for teachers and professionals – embedded with a range of features to help bring curriculums and group discussions to life. Designed to improve the impact of group activities and audience engagement in presentation environments, the ViewBoard IFP7560 allows up to 20 users to simultaneously write or draw on the display – bolstered by the accurate InGlass touch screen experience. To cater for its 75-inch screen, the display has a native 4K resolution that provides an immersive viewing experience and enables people to learn via the use of multimedia content. Featuring ViewSonic’s proprietary Cast and myViewBoard software, the ViewBoard enables content to be wirelessly shared and annotated from mobile devices, tablets and laptops – improving one-on-one interaction and group discussion. Content can be shared via the Cloud using the built-in Google Drive function, while presentations can be recorded and accessed remotely at a later date. ViewSonic does not charge additional subscription fees to use the freely scalable software – allowing an unlimited number of users to benefit. 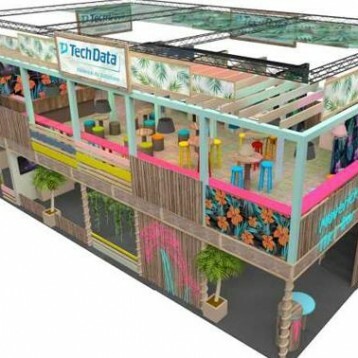 Maverick AV Solutions Europe introduces a series of unique Connect Events. These events will be hosted by our various offices across Europe the US and online, offering our customers, vendors and resellers the chance to get to know the technologies we distribute and the Maverick family. Cutting-edge content from presenting partners. Network building opportunities. 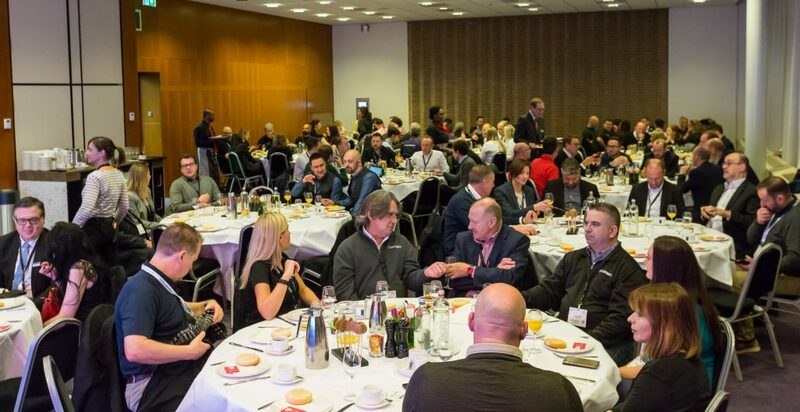 Connect – Age of Collaboration was an event designed to bring visionary speakers and companies from the AV and technology industries together in one space to build new ways of collaborative working. Over the course of two days, in the beautiful and iconic Design Museum in London, Maverick hosted stimulating keynotes, workshops and networking opportunities centred around four thematic pillars: People, Processes, Space and Technology. In all, there were over 30 immersive workshop sessions held by presenting partners such as Microsoft, Dell, Cisco, Condeco, Zoom and Logitech. 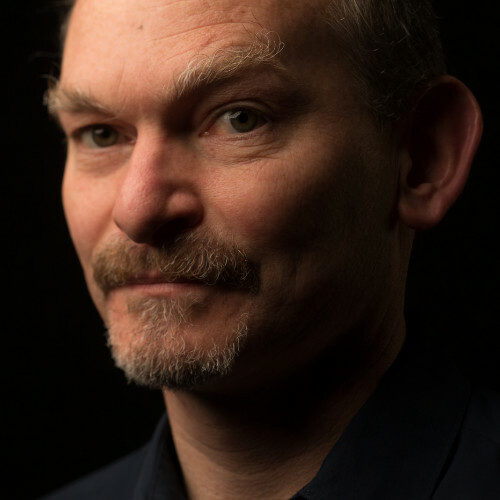 Joining these workshops were two keynote speakers, the critically acclaimed broadcaster Spencer Kelly; who is an award-winning presenter, Doctor of Technology and adrenalin junkie. Spencer Kelly was an engaging and witty speaker on science and technology and has spoken on diverse subjects on stages all over the world. The Wall is large format modular display based on MicroLED technology that is configurable and customizable from its 146-inch standard. It promises to bring perfect black even in a bright environment, outstanding contrast ratio with HDR 10+ technology, superior colour purity, and high brightness (1,600nit peak brightness) through self-emitting pixel LED modules. With perfect blacks and pure colours, users will experience the magnitude of The Wall’s picture quality, while its radiant design is a perfect fit for any luxury space—a high-end hotel lobby, museum or VIP stadium suite—enhancing the environment’s beauty, sophistication and elegance. True to life details from perfect black: The Wall display presents perfect blacks even in bright environments. An exceptionally black base with Samsung’s ultra-low reflection black technology delivers pure black levels for unparalleled contrathe wallt and detail. The Wall is an industry leading picture quality engine that includes LED HDR picture refinement and HDR10+ support. This is turn renders optimum peak brightness and extremely accurate grayscale expression for crystal clear image presentation. Powered by Samsung’s own design and technology, The Wall has wider colour gamut and enhanced accuracy of movies and videos. Samsung introduced new colour enhancing technology LED chip technology in the Wall. By narrowing the colour wavelength of light, The Wall has a more accurate and purer colour representation without mixing colours. The Wall employs millions of small, self-emitting pixels to create more accurate and purer colour representation. Samsung’s own advanced shock-resistant technology ensures the highest level of durability for The Wall. With its robust design, The Wall is resilient against static electricity, dust and humidity. Not only is The Wall durable, it has a higher energy efficiency due to its advantageous heat dissipation design. The Wall is 30 – 40 percent more energy efficient than conventional displays. The modular formation of The Wall gives creative flexibility to optimize for a customer’s operational needs. The Wall’s standard size extends 146 inches; however, users can add or remove screens without affecting performance or presentation quality. Born from an impeccable heritage as the longest established AV integrator in the UK, Visavvi is the newest and most exciting name in the dynamic world of audio-visual business communication and collaboration. Encompassing a fresh, dynamic new vision to deliver inventive collaborative solutions that deliver positive results, it is the trusted, long-term relationships the company has built with its clients and technology partners that sets Visavvi apart. Born from an impeccable heritage as the longest established AV integrator in the UK, Visavvi is the newest and most exciting name in the dynamic world of audio-visual business communication and collaboration. Visavvi embraces deep client partnerships as a core strategy in its business operations and this has led to the development of relationships with major brand clients resulting in a significant increase in European sales. Over the last two years sales have increased from £500K to an amazing £3.8M. This significant increase reflects the business’s profile as a leader in collaborative business communication solutions resulting in major roll-outs across Europe. Not content with delivering innovative integrated collaborative solutions featuring technology from the leading brands, Visavvi have invested significantly in a bespoke hosted video collaboration platform Convene. Using the latest videoconferencing technologies, the Convene service allows enterprises to harness the benefits of virtual high definition video meetings from any device via any platform. With Skype for Business compatibility, scalable packages and featuring the highest levels of encrypted security, Convene is fast becoming the favoured communications tool for many high-profile global brands. 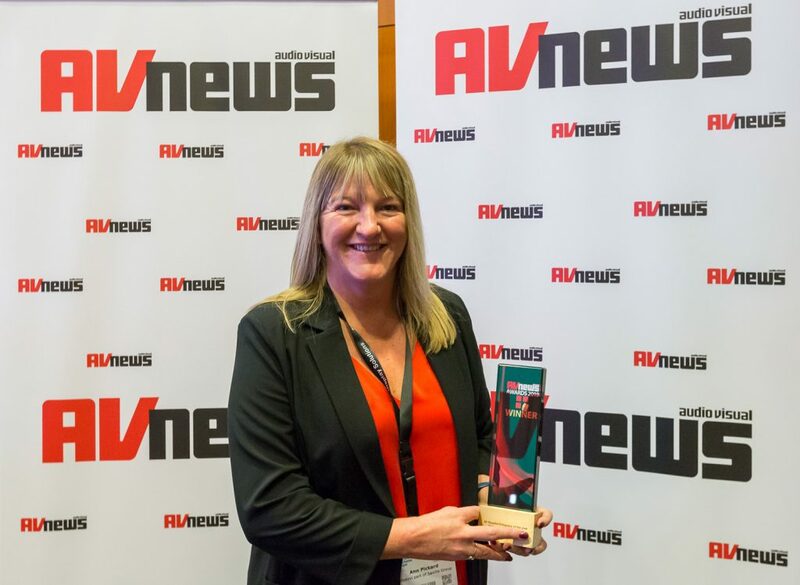 This year Pure AV celebrates its 15th birthday and we enter this award to recognise the efforts of the fantastic people that make up the Pure AV team. Their expertise and energy have ensured the successful navigation of a period of rapid growth while keeping focus on the customer experience. The fact that we have a happy and expanding customer base is a testament to their efforts and the quality of the service we consistently deliver (see testimonials). The list of customers still trading with us 15 years on is evidence of the importance we place on long-term value-driven relationships. Pure AV was founded in 2003 by four individuals, each one a specialist in a different aspect of audio-visual delivery. 15 years later we employ 50, including some of the most skilled design, programming and engineering staff in the industry, and are recognised as a trusted partner by organisations across multiple sectors and to some of the world’s most influential businesses. 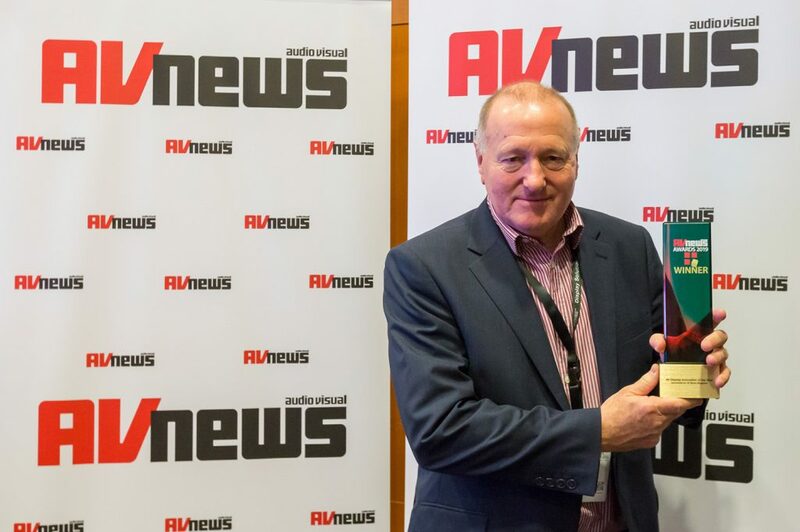 In 2016, Pure AV acquired North East based integrator Display IT. This acquisition provided a sales base from which to service the North Eastern Universities Purchasing Consortium (NEUPC) and a platform to expand our offering to the corporate and healthcare clients in the region. Within the first 24 months since the merger, we have seen the Northeast division increase its revenue by 300% and establish a solid foundation for further growth. The important point about the growth that we have delivered is that is has been driven from quality and the commitment to the long-term delivery of an excellent package of services for our customers. We have invested in our service offering, with new ticketing software and additional personnel enabling us to scale up our service capacity and enhance the post-sales offering to our customers. In January 2018, we saw our first on-site engineer take residence in a Global organisation, demonstrating our capability to work proactively with large-scale enterprises. Investment in a new CRM system has provided greater insight into business performance and supports our account management team in the delivery of seamless customer service. New investment in back-office systems has enabled us to improve efficiency within our warehousing and stock management process, producing significant savings that we have been able to pass onto our customers through more competitive hardware pricing. We recognise the importance of a skilled and motivated workforce and actively encourage professional development. Our of a staff of 50, 12 have CTS certification with a further three CTS-D holders. We also have one of only 12 individuals in the UK and Ireland to hold CTS, CTS-D and CTS-I certification in our design team. Equality and the encouragement of young people into the industry are also important to Pure AV. We have members of staff who actively participate in industry groups such as Women in AV (WAVE) and the AVIXA Women’s council and seek to bring the best practice and learnings from those groups into our work practices. 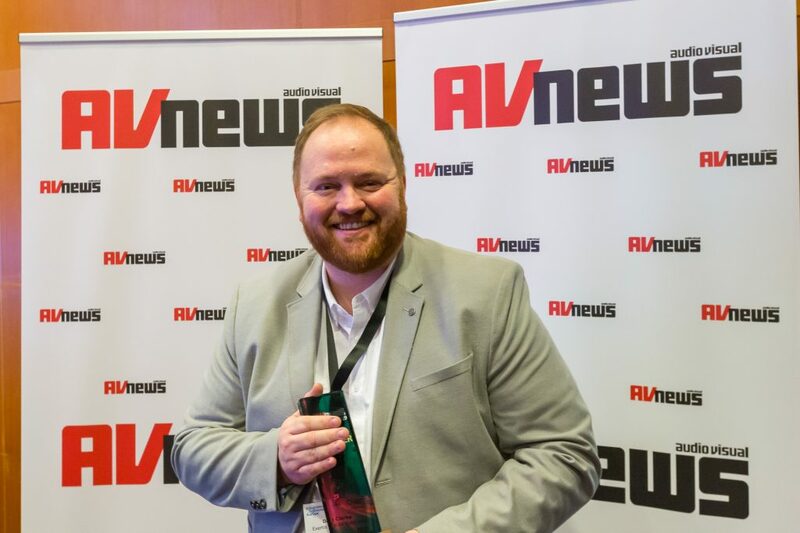 Tony White joined ViewSonic Europe in October 2016 with the challenging remit of growing UK sales and the company’s wider reputation in the competitive AV industry. Responsible for formulating a ground up build and new strategic marketing vision, White quickly laid the foundations for 18 months of continued success – overhauling distribution and pricing strategies, forming new channel partnerships with Ingram Micro and Tech Data, and investing in staff and equipment which has culminated in AV sales increasing by more than 100%. These are predicted to grow to £9 million by 2019. By developing new pricing strategies and investing in £500,000 worth of channel stock, Tony helped ViewSonic secure key partnerships with some of the world’s biggest IT distributors – Tech Data and Ingram Micro. He also played an influential role in developing new relationships with service providers and AV retailers. With ViewSonic developing innovative interactive flat panels (IFPs) for the education market, Tony recognised the importance of being able to showcase these cutting-edge products directly to schools and teachers. He used his industry experience to secure ViewSonic’s admission to local educational frameworks. By securing access to these key regional markets he helped ViewSonic firmly establish its brand in the EdTech sector. Responsible for developing the marketing strategy for ViewSonic’s new 4K home cinema projector line, Tony recognised the need for affordable 4K products. Following a successful launch period, he helped ViewSonic become the #2 ranked manufacturer for 4K projector sales in the UK. 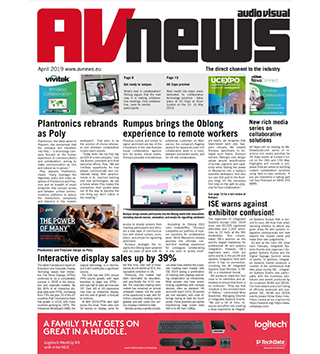 The projector market has doubled in size in the last 12 months and ViewSonic now has a vastly increased market share. A key part of Tony’s ethos is sustainable growth and a key aspect of that approach is investing in right people; providing a strong foundation to win business and offer improved customer service. Tony has been responsible for the recruitment and development of a new three-person business development team and investment in new state-of-the art demo kits for end-users. In the last six months, the business development team have completed more than 100 demos around the UK – with 60% of these converting to sales. Currently recruiting 3 new posts to drive performance in 2019. 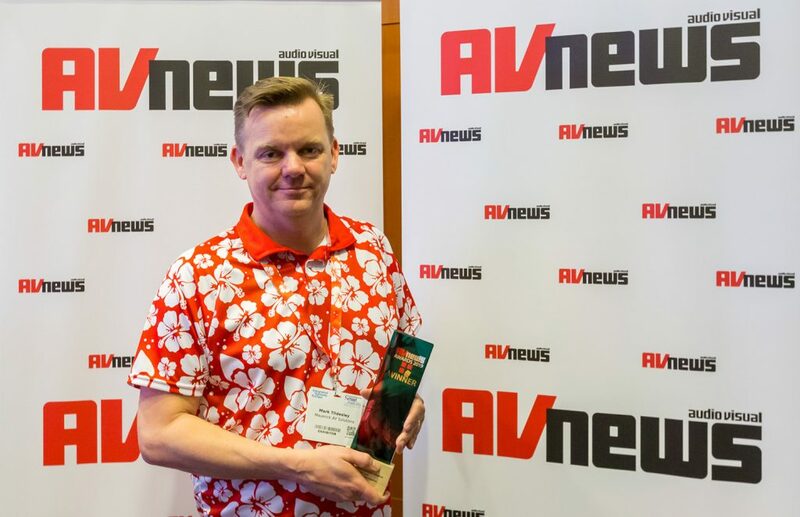 Tony has been one of the key catalysts for ViewSonic’s recent success in the AV industry. His in-depth product knowledge and understanding of the wider market has helped the company achieve its best sales figures to date, increase its market share and allow its growing sales team to have a positive impact in multiple vertical markets. 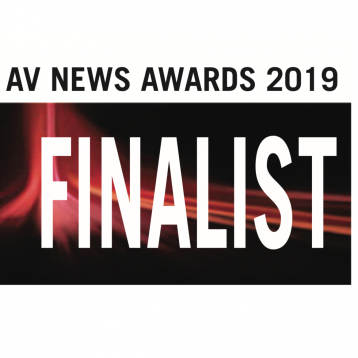 AV News would like to thank the sponsors, the Award nominees and those assisting with judging and execution of the AV News Awards 2019. 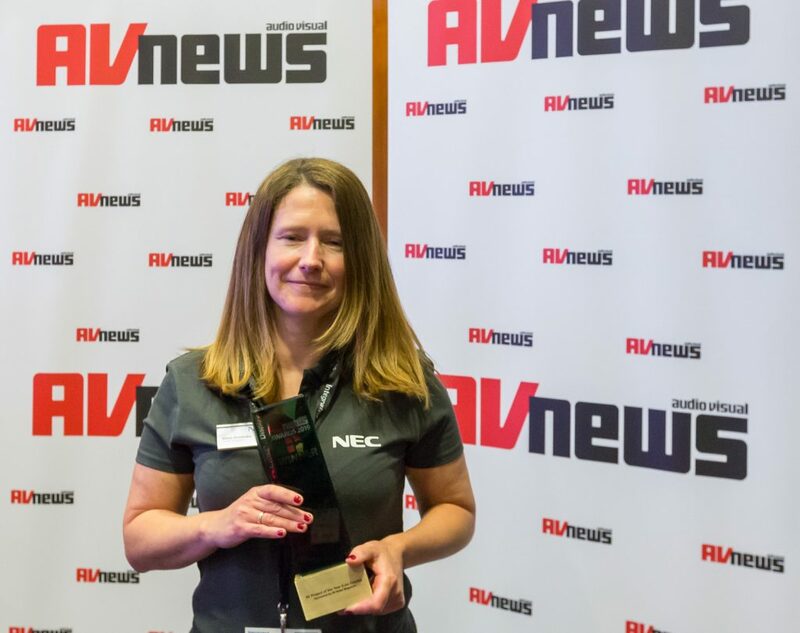 Particular thanks are offered to Kevin Batley for his presentation, to Rita Balestrazzi for her help in presenting the Awards and for the creative and AV support provided by Acquire Digital and PSCo.